Although the Hang Seng Index remains one of the world's most influential stocks indicators, the story of its origins is little documented. 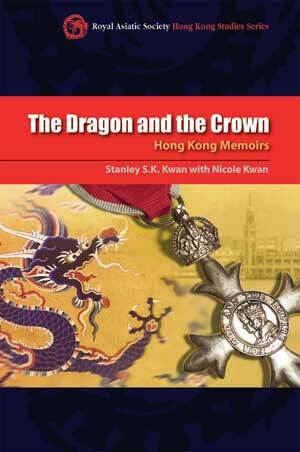 Part of it emerges in Stanley Kwan Sze-kwong's The Dragon and the Crown. Being Hang Seng Bank's research chief at the time, he got the order to compile the index in time for its 1969 debut from Ho Sin-hang, one of the bank's founders. "Being a visionary banker as well as a shrewd trader, Ho expected the HSI would some day be as well known as the Dow Jones Industrial Average. His prophecy came true," Kwan said. But the book is more than just a dry financial story. It is like a vivid documentary that draws readers into Kwan's life to experience the social and cultural lives of ordinary people swept up in the tide of history during one of the city's key periods. Kwan has a colorful history. Born into a banking family in Hong Kong in 1925, he joined the Chinese army and was seconded to be an interpreter for US forces during the war before he went to work for the bank. He may be 84 now, but his powers are undiminished. No cultural or personal detail is overlooked. From his grandmother's bound feet to his feelings of patriotism, he wrote about key events or personal encounters in exuberant detail. "Our lives today seem dull compared to those who lived through the war, and not only witnessed but experienced the tussle between the nationalists and the communists in colonial Hong Kong. Ideology has always been a divisive force, even a mong family members," said former legislator Christine Loh Kung-wai. For Loh, who now heads Civic Exchange, the book gives a hint of old heartaches come alive through its retelling of personal stories. Kwan said he tried to incorporate as many anecdotes as possible to bring to life the stories of those around him. "I read quite a number of books, both to refresh my own memory and also to flesh out the historical events occurring around me," said Kwan. He spent a lot of time looking up old friends, playing mahjong and chatting in tea houses, before discovering he wanted to do something more meaningful after he retired to Toronto. His first memoirs were published 10 years ago in Chinese. On the advice of friends, he rewrote them in English. Jan Wong, author of Red China Blues and Beijing Confidential, says the book is a fascinating account of 20th century Hong Kong. "Kwan is the master of the telling detail as he recounts the saga of his extended family, torn between capitalist, colonialist Hong Kong and the Chinese communist revolution. Kwan's own odyssey is gripping as a survivor of the Japanese attack on Hong Kong, wartime interpreter, auto dealer, banker, creator of the influential Hand Seng Index and, ultimately, target of communist China's velvet-gloved attempt to recruit sympathizers among Hong Kong's rich and famous." 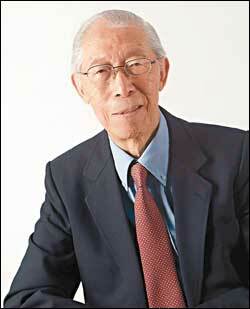 Kwan almost gave up writing his memoirs when his wife was diagnosed with Alzheimer's in 2000. Co-author and niece Nicole Kwan helped him finish it. "Hong Kong is a small city, but it is a great city full of opportunities. It is a city of risk-takers," he said. "The fact that Hong Kong has been living under the shadows of two giants has been a blessing in disguise."